The construction of a railway tunnel through the Hallandsås ridge in southern Sweden has a long history, but the end is in sight with the start of traffic services scheduled for late 2015. 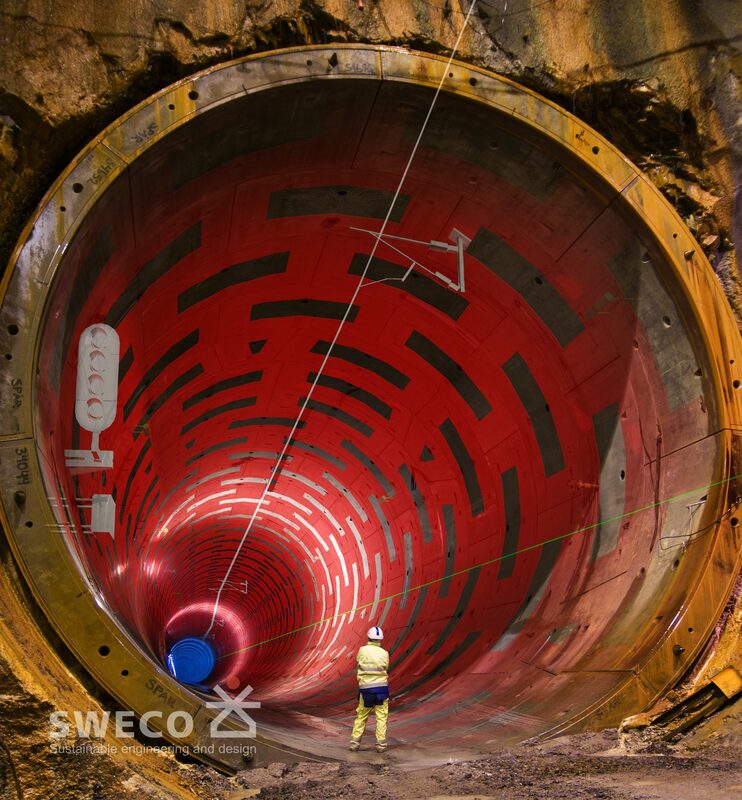 To help meet the demanding project schedule and the challenges of performing tunnel excavation and detailed engineering design in parallel, Trafikverket, the Swedish Transport Administration, chose to advance its use of Building Information Modeling (BIM) practices with the help of Sweco Infrastructure AB. 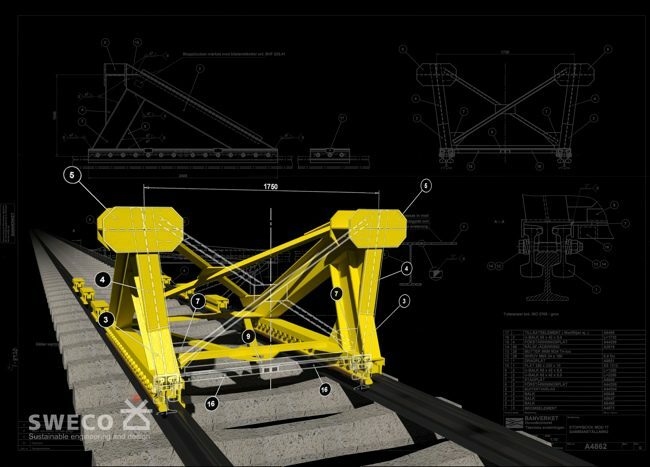 Sweco was given the responsibility for all BIM related strategy and coordination of the Hallandsås project including helping the project team implement effective BIM processes to optimize production, develop integrated 3D models through a collaborative design process, and use that information throughout the project lifecycle. 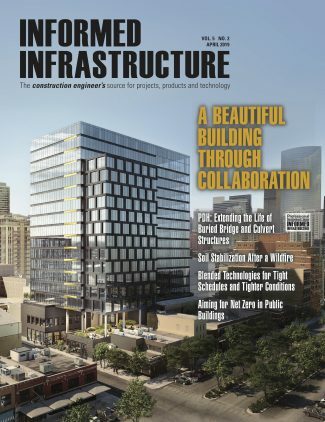 The successful BIM implementation on this project, using Bentley ProjectWise, MicroStation, InRoads, Bentley Rail Track, and Bentley Navigator, has resulted in innovative methods, reusable resources, a reduction in costs, and productivity improvements that help keep the project on schedule. When completed, the tunnel through the Hallandsås ridge will increase the railway capacity from 4 to 24 trains per hour, enabling more traffic to be moved from road to rail. Building the tunnel however, has been a major challenge caused by the geological nature of the ridge, with partly cracked and disintegrated rock and large amounts of water. 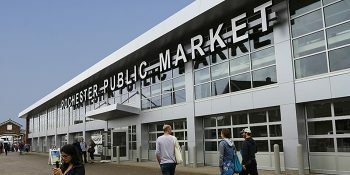 Construction originally began in 1992, but was discontinued five years later due to alarming impacts on the environment. The project restarted in 2003, after thorough investigations, legal trials, and political discussions.New tunneling techniques and equipment enabled the creation of a fully lined water-tight tunnel to minimize environmental impact. While minimizing the environmental impact is crucial, the project still had to be completed in time for the start of traffic services in 2015. As the project progressed, and Trafikverket realized that planning and detailed engineering design of track and related infrastructure would need to happen in parallel with the tunneling, it sought new and innovative ways of working to keep the project on schedule. “Trafikverket have been using BIM techniques and methods since 1994 for its rail projects but concluded that increasing its level of BIM adoption would help improve productivity and reduce rework on the Hallandsås project,” said Leif Malm, technology strategist for major projects at Trafikverket. Working with BIM can often require a shift of focus, as processes and the organization of information are just as, if not more important than, the technology or products used. For a successful BIM project, it is vital to create distinct processes that enable all engineering disciplines to access and deliver the right information, to the right people, at the right time. Clear directives concerning classification of all constructible objects including track, catenary, substations, and buffers, were required, as well as specifications for the metadata/in- formation each object must contain. Procedures for systematic risk management and quality assurance of the digital model must also be established. Well defined working methods, including coordination meetings and communication between the different stakeholders, provide the ability to detect, analyze, and solve problems as early as possible. Sweco worked with Trafikverket to create an integrated 3D-object library, as well as automated scripts for when objects are inserted into the CAD models. Every object is specified with detailed information such as type, codes, part number, description, and web links. This standardized library not only ensures project quality for the Hallandsås project, but also means that every 3D object can be re-used by Trafikverket on future projects. The 3D model not only allows visualization of design and function, it enables automatic generation of drawings and reports, facilitates simulation and analysis, aids in the identification and avoidance of clashes, and much more. Reusability has been a leading star in the Hallandsås project, both in terms of functionality and methodology. Recurring items are modeled, attached with attributes, and compiled into a 3D object library. These objects can be linked to different processes, including time management, logistics, and procurement planning. A successful BIM project needs a software platform capable of handling large amounts of data including advanced objects with integrated information, as well as managing the flow of information to multiple parties. Bentley software has a long and proven pedigree on railway engineering projects in Sweden. With Trafikverket and Sweco both long-time users of products including MicroStation, InRoads, and Bentley Rail Track, Bentley software was the natural choice for the Hallandsås project. Bentley Navigator is used to visualize and inspect the 3D digital model, while ProjectWise is the hub for document management and administration. “Bentley’s products can manage large amounts of data with ‘real-world’ coordinates, which is of central importance in infrastructure projects,” said Daniel Ahnsjö, BIM strategist and team manager at Sweco. 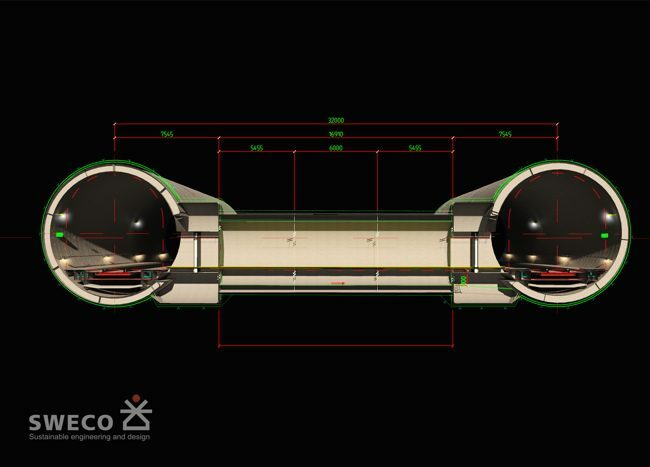 As tunneling proceeds, by continuously feeding the ‘as-built’ data from the tunneling production into the 3D model, integrating it with the latest design and engineering information, the team can effectively manage the changing conditions. The shared information empowers the design engineers to analyze the effect of, and react to, changes immediately, avoiding the risk of costly surprises during the construction as a result. “We call that ‘Live BIM’ – to use information from the ongoing production as basis for impact assessments and adjustment of the engineering,” explained Ahnsjö. “The most important contribution is our coordination process, which efficiently reduces design errors and increases quality. We have monthly coordination meetings with all involved engineering consultants. Before the meeting, all current design files are loaded into a digital model and pre-inspected using the Clash Detection functionality in Bentley Navigator. Thanks to the pre-inspection, which highlights design problems and obvious errors, affected parties can discuss and solve issues in advance. At the coordination meeting, the entire design is reviewed using dynamic views and section cuts of the digital model. The day after, results are published and made easily available as 3D PDF files,” explained Ahnsjö. Thanks to the coordination process, 200 non-constructible conflicts and 3,000 unique collisions have been detected. By resolving these at the design stage, the production cost for correctional and additional work caused by design faults has been reduced by 50 percent. For the Hallandsås project, with a contract sum of SEK 700 million for the work embraced by BIM, the cost saving is estimated to be up to SEK 50 million. “The BIM methodology obviously constitutes a great potential for improvements in project efficiency. BIM is all about building and adapting information to its purpose. Bentley’s products provide flexible conditions for coding methodology and structure, in order to achieve more project value,” concluded Ahnsjö. Another BIM objective has been to enable, enhance and reuse engineering design information in downstream processes. In addition to providing the construction layout and geometrical drawings, the 3D design model has been prepared to supply data for machine control and guidance, survey layout, quantities and specifications, time management, cost control, analysis, as-built models, and more. “Reinforced by the basic features of Bentley software, and especially the Clash Detection inside Bentley Navigator, we have shown a very positive effect in terms of increased quality of the construction documentation, reduced production cost for correctional and additional work, and more efficient risk management, which means we can secure the production schedule,” said Ahnsjö. Long-term, the model will eventually be used in operations and maintenance to provide up-to-date asset management data. 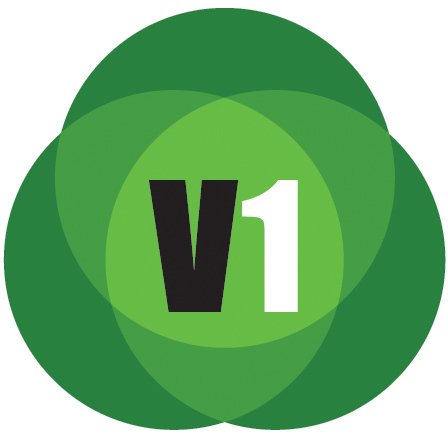 Hallandsås is the first and most advanced of a group of official BIM pilot projects within Trafikverket. As a result of the progress made, technology used, and benefits achieved on the project, Hallandsås will set the standard for all future projects, with Trafikverket mandating the use of BIM in all investment projects by 2015. Lotta Tuvstedt is a specialist in writing comprehensibly about technology. She holds a Master of Science in Electrical Engineering and has since 2003 run her own business, Infotechnica AB, offering technical writing services.